This movement has been translated in several mega projects including 16 entertainment complexes, an aquatic centre and three other huge entertainment hubs in Saudi Arabia, said experts ahead of an unprecedented event dedicated to cinemas and movie theatres' design, constructions & technologies. The two-day Cinema Build KSA forum kicks off on April 14 at the Four Seasons hotel in Riyadh. Organised by Eyes of Cities in collaboration with Great Minds Event Management, Cinema Build KSA Forum has taken the initiative to lead the local cinema industry, by bringing together the key stakeholders across the design, construction & technology sectors to discuss the latest trends & techniques of building world-class cinemas in Saudi Arabia. The event will also reveal a wide range of new building solutions and equipment used in developing future Cinemas, Multiplexes, and Malls to serve as a key contributor to the industry, said the organisers. These investments are all part of an offer to ensure that Riyadh, Jeddah, and Dammam become among the top 100 cities in the world for providing Quality of Life, a program which aims to develop and diversify entertainment opportunities to meet the needs of the population; & develop the Saudi contribution in both arts and culture. The Quality of Life program also targets to increase of the number of out-of-home entertainment venues from 154 to 260 by 2020 and aims to raise the available retail space in shopping malls from 0.15 to 0.19 sqm per capita. In addition, the government plans to invest SSR50.9 billion into this cultural revolution, while courting private investors and foreign partners for the rest of the investments. As the world eyes Saudi's efforts to open for social and entertainment activities, in connection with the kingdom Vision 2030 program that aims to pursue economic reforms with efforts to reduce dependence on oil, Saudi Arabia is unlocking the massive potential of their cinema market and aggressively inviting global and local providers to participate in these business opportunities. Saudi General Commission for Audiovisual Media (GCAM) CEO Bader Alzahrani said: "The cinema sector in Saudi Arabia will see significant growth, especially with GCAM’s continuous efforts to facilitate and promote national and foreign investment to enter the sector." "At the same time, GCAM is working toward achieving Quality of Life Program’s goal by opening 45 cinemas by 2020, with emphasis on providing various different entertainment opportunities for everyone, which will enhance and contribute to diversifying the economy," he stated. "Alzahrani will inaugurate Cinema Build KSA Forum and present the opening speech. The General Commission for Audiovisual Media (GCAM), is the government organization in charge of developing, licensing and regulating the entire audiovisual market and industry in Saudi Arabia, including cinema operations and content. 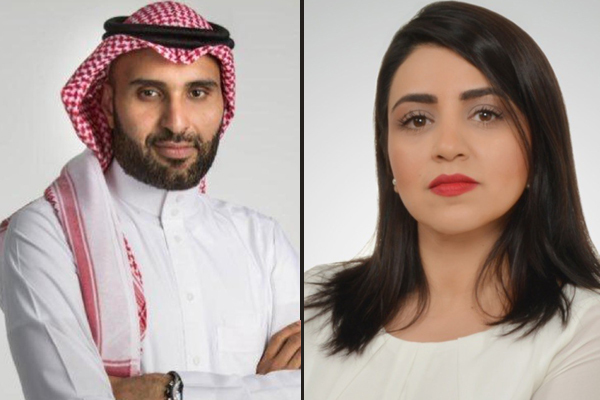 Cinema Build KSA forum hosts a remarkable number of prominent speakers at its two days activities, including Mohamed Al Hashemi, Country Manager, KSA, Majid Al Futtaim Ventures, Arpan Dutta, Head of Operation, Empire Cinemas and Sunil Puthan Veettil, Managing Director, Carnival Cinemas. Moreover, Mohammed Obaidullah, Head of Compliance and Control at GCAM, Kamal Al Nuaimi, Head of Registry and Information, General Commission for Audiovisual Media, (GCAM), Paul Schwarz, Partner at Acoustics, and Luke Somerville, the director at Compass Project Consulting will all be speaking at the event.